The National Book Award-winning novel by the writer whom Fran Lebowitz called "the real F. Scott Fitzgerald"Joe Chapin led a storybook life. A successful small-town lawyer with a beautiful wife, two over-achieving children, and aspirations to be president, he seemed to have it all. But as his daughter looks back on his life, a different man emerges: one in conflict with his ambitious and shrewish wife, terrified that the misdeeds of his children will dash his political dreams, and in love with a model half his age. 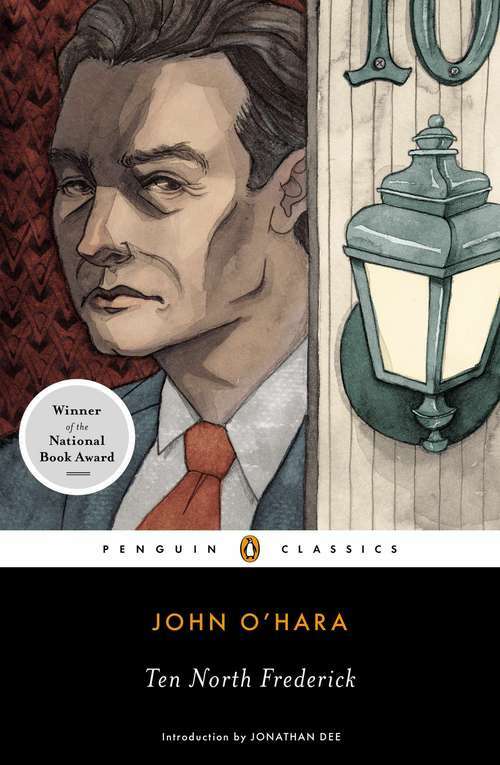 With black wit and penetrating insight, Ten North Frederick stands with Richard Yates' Revolutionary Road, Evan S. Connell's Mr. Bridge and Mrs. Bridge, the stories of John Cheever, and Mad Men as a brilliant portrait of the personal and political hypocrisy of mid-century America.